If you follow me on social media you will know I'm addicted to coffee. I have to start my day with a few cups, but that usually means my breath isn't exactly fresh. That's why I rely heavily on a mouthwash to keep my coffee breath away and to keep my breath clean & fresh all day. 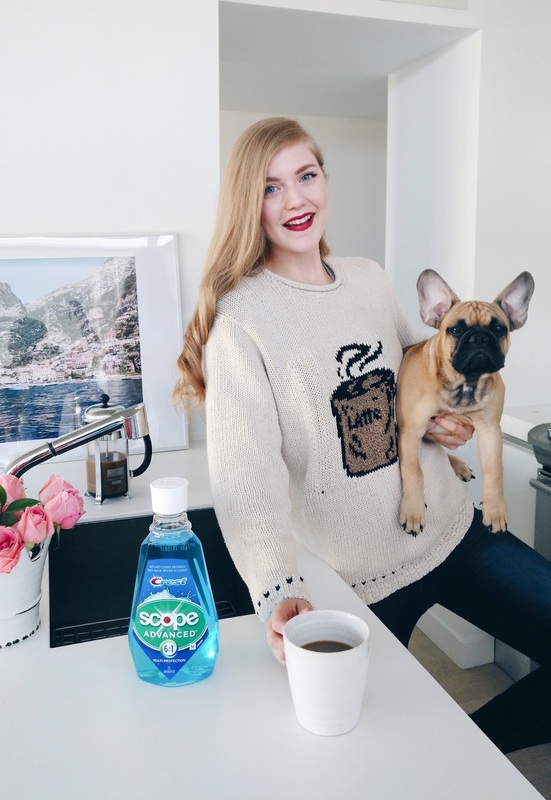 Scope® Advanced mouthwash. My favourite thing about this mouthwash is there is no harsh burn like other mouthwashes. It gives me that fresh feeling without the annoying burn. Not only do I enjoy the great-taste of this mouthwash, but it also whitens my teeth, kills germs, freshens my breath, strengthens my enamel and prevents cavity and tartar control. Now do you understand why I use this every morning!?? 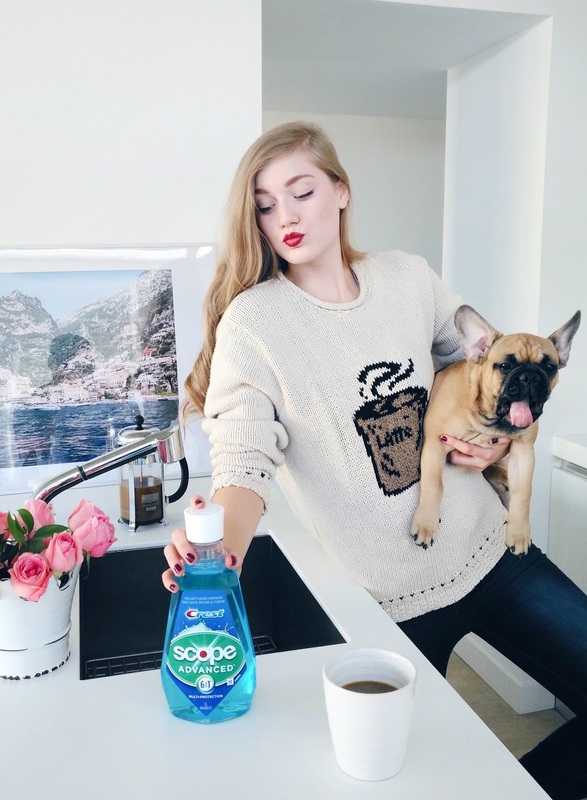 From meetings, to long photo shoot days and just giving a million and one kisses to Gary I'm confident in my Scope® mouthwash to keep my breath fresh and clean all day. 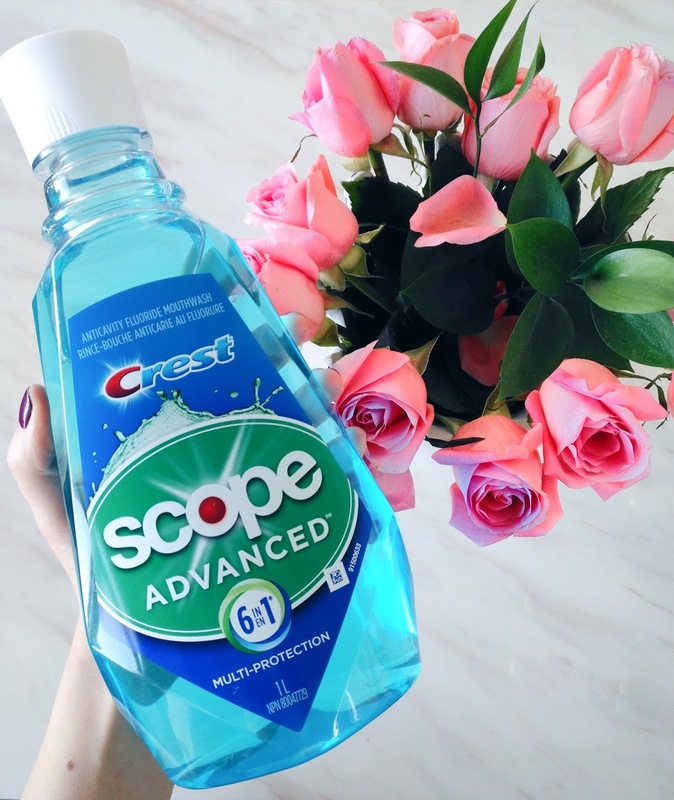 You can find the Scope® mouthwash at mass retailers now! !